What Does It Mean When Your Magnesium Is Low? We learn from our failures perhaps more than from our moments of success. One of my first patients back in the early 1990’s was a medical doctor who was extremely ill, Dr. Jay Cohn. Jay went on to become a friend and mentor for me as the years went by, but in 1995 he was suffering from a debilitating condition that caused severe inflammation and pain in his legs and hips. Sometimes to the extent he was unable to work as a physician and on some days unable to walk at all. He later documented his journey in his writings. Jay had exhausted all his options within conventional medicine having tried every drug and treatment available. No one could determine the cause of his pain or come up with a solution that would offer even temporary relief. I tried all my usual functional medicine programs and we had small fleeting improvements but nothing “curative”. Fish oils helped more than anything so we both suspected there was a strong inflammatory component. Then one day I went to visit Dr. Cohn at his home, he had called me and asked that I stop by. It was my first time witnessing a “natural healing miracle,” the doctor was walking around completely pain free! Over the course of several hours he detailed his discovery that eliminated his condition and went on to define his career for many years. He had stumbled on a natural treatment that was non-toxic, safe and effective beyond his wildest dreams – magnesium. What Do Lab Tests for Magnesium Tell Us? Since that experience I’ve been fascinated by magnesium. Magnesium is one of the most common nutritional deficiencies. In my experience, magnesium deficiency creates more health problems than it’s cousin – calcium, despite the fact that people take calcium supplements in greater amounts. Maintaining normal magnesium levels can make a truly remarkable difference for those that are low in this key mineral. High, or toxic levels of magnesium are rare and it’s safe to take magnesium with or without magnesium lab values showing you are deficient. I’ve often been asked how to test for magnesium deficiency and there are a variety of options. You can run a blood test to determine whether your level falls in the normal range. However, even with normal blood test results many people still benefit from magnesium supplementation to address specific health concerns. Many patients’ question what is RBC in blood test and it’s simply the red blood cell count, so don’t be confused by this mnemonic! One can be low in magnesium on a test, meaning you clearly have a deficiency to make up for, just like a gas tank in a car that has run out of gas, you need to fill up on your magnesium just to regain normal functioning. You can also use magnesium as a therapy or treatment, even if your levels test normal. This concept differs from the deficiency issue. Although, magnesium deficiency is extremely common due to lack of green leafy vegetables in most diets! When magnesium levels test normal, you are using the properties of magnesium to attain a relief of symptoms, as was the case with Dr. Cohn. Magnesium is a powerful vasodilator and many patients with chronic pain syndromes find relief from taking it, as do people with high blood pressure and migraine headaches. I’ve also had cases of PMS, insomnia and anxiety respond exceedingly well to the use of magnesium. Some of these folks may be deficient in magnesium on a test and some may not. In either case there can be significant benefits since magnesium will exert many positive effects even if your lab tests show your levels are normal. Now back to my story about Jay. Once he was up and walking around again he devoted the second part of his career to understanding the role of medications and the role of supplements. He went on to write several books and lead a campaign to build awareness around the efficacy of magnesium as a front line treatment for many common conditions. Jay didn’t abandon his conventional medical training but he did question it deeply. In addition to his must read books on magnesium he also researched and wrote extensively about U.S. based doctor’s tendencies to over prescribe. Both in regards to too many medications and in regards to medications at excessive dosages, the concept of a one size fits all prescription, which for many people is far beyond what they require. My clinical experiences with magnesium put it in the top five “must know about” supplements for a wide variety of conditions. From fatigue to insomnia, from menstrual cramping and muscle cramps to a variety of skin ailments, magnesium has saved the day for countless patients I’ve worked with. Why? What does low magnesium mean in terms of common health complaints? Well the “why” is because most of us eat a magnesium deficient diet, so normal magnesium is a rarity. What does this all mean? Well, magnesium is a central component in several hundred biochemical reactions in the body that regulate everything from the tone of your blood vessels (hence the connection with migraines and high blood pressure) to energy production in your mitochondria (hence the connection with fatigue). You need magnesium to calm down an overly excited brain. We often see on lab testing problems with brain inflammation and an excess of a chemical called glutamate. High glutamate in the brain can trigger an excitation of brain cells that is associated with a sudden movement of calcium ions. This can lead the brain cell to sort of agitate itself to death (they explode, not so pretty). Brain cells blowing up on you would make anyone anxious and depressed. Magnesium can step into this cascade of events and block the channel that the calcium uses to mess up your neurons and save the day, leading to a sense of calm, better energy or better mood. Low magnesium can cause people to be constipated and feel excessively stressed. So from your brain to your gut this mineral is on our “super critical nutrient of all time” list. That’s Why They Call It Medicine! During my first twenty years of practice Dr. Jay Cohn was a stabilizing, supportive force for me professionally and personally and I was saddened by his death a few years back. I’ll never forget one conversation we had; really it was more like a counseling session. I was so upset and frustrated with the knee jerk prescribing habits of the practitioners my patients were seeing and when I asked Jay, why is it that all these guys do is prescribe drugs for every condition when there are so many natural solutions available that are safer and more effective? Jay just said, “That’s why they call it medicine Dan, that’s the job these days, to prescribe medicine.” That conversation ended my many years of anger and resentment towards over prescribing as I realized we all, myself included, were working according to our training and our skills. If you want to practice medicine you’ll want to prescribe medicine, hopefully in a thoughtful and circumspect manner. That was Dr. Jay Cohn’s mission in life, to teach doctors how to prescribe medications appropriately and to, as he learned the hard way, reach out for natural solutions when they are more effective and less dangerous. I prescribe magnesium for all my new patients as part of a multivitamin that includes minerals, vitamins and antioxidants. The trick I’ve found is to use a multi that contains significantly more magnesium than calcium and then, if needed, add in additional magnesium to bring levels up to where there is a therapeutic effect. Be warned, too much magnesium can cause loose stool. I also prefer the citrate form, since magnesium bound to citrate as a carrier molecule helps with energy production because the citrate will boost up ATP production in the mitochondria. Cheap forms of magnesium without the proper carrier molecule really won’t work, so if a patient comes in on their own magnesium be sure to evaluate the quality of the brand and don’t be shy about using a high quality product. It can have an impact even in situations where the patient has been on poor quality magnesium for a long time. How to Get Rid of Toxins in Your Body? Dr. Kalish, what do you think about magnesium as a topical solution in liquid form to spray on any part of the body that may experience pain or discomfort? Do these types are as effective as the supplements ones we take orally? Yes delivery through the skin highly effective as are magnesium solutions in liquid form and powders. Of course people soak in magnesium baths these days and in the past using hot springs that’s been going on for thousands of years, springs that are mineral rich relieve pain. How do you feel about magnesium glycinate as compared to citrate? Can you recommend a brand of multi that meets your specifications? Both those forms are top notch, I use Designs For Health products available on amazon. What is a safe amount of magnesium to start supplementing with if you don’t have magnesium lab values? 400 mg would be the bare minimum, but with mag. citrate you might try 200 mg and see how it affects your bowel movements. 800 mg is often recommended to those with health challenges. If you wish to take more, but get loose stools, you can take mag. glycinate aka biglycinate. It’s a little more costly, but well-absorbed and doesn’t have much impact on the stools. Or, take a combination of these. 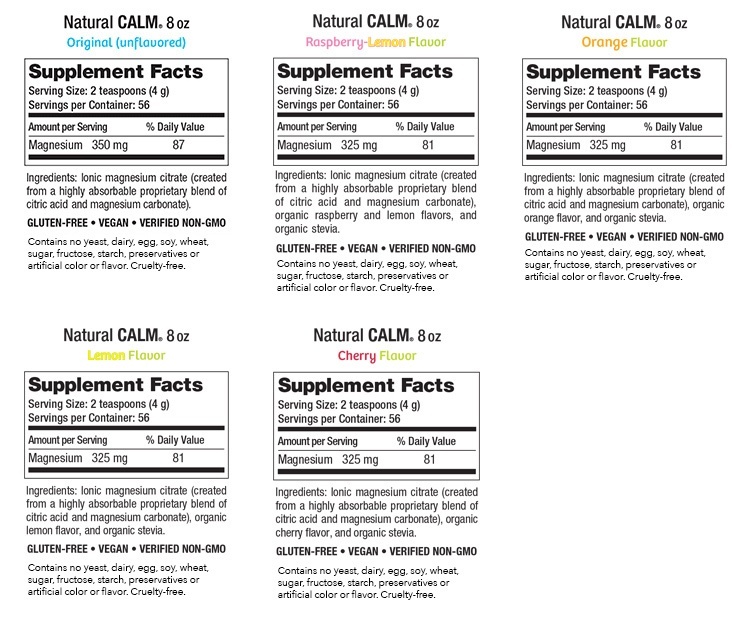 Read the label and look for the “elemental” magnesium amount. That is the number to pay attention to. I use magnesium chloride as a spray or rub on the skin as it apparently is more easily taken up this way. Topically, it is also a pretty darned good pain reliever, perhaps because it lowers inflammation. I read somewhere that spraying MgCl on the chest means never having breast cancer. Don’t know about that, but it definitely helps with pain and inflamm and also helps enormously with muscle spasms like charleyhorse. Soils are depleted of magnesium because of modern farming practices, so even if you eat high magnesium foods, it’s hard to get enough. That is correct, even eating green leafy veggies 3x day still may not do it, also we lose magnesium under stress so that contributes to the issue. I used Natural Calm for a few years until I heard that magnesium citrate interfered with a protein responsible for safely transporting copper in the body. I switched to magnesium glycinate. I started taking magnesium and have experienced very vivid dreams and wake up feeling tired, frustrated and unrested even if I cut back the dose to as little as 100 mg. I have seen many forums of people complaining about the same thing but have not been able to find anywhere that doctors or nutritional experts are talking about this side effect. If magnesium causes vivid dreams that indicates chemical toxicity. Why this occurs is up to debate but it’s a common pattern we observe. hi this Jay Cohn? http://shapesociety.org/jay-n-cohn-md/ ps thanks for your amazing webinars. The solution is, you need a full spectrum mineral supplement when you want to get more Mg into the cells. A synergistic effect with all the trace minerals and macro minerals. I have found Blue Ocean Minerals to be the very best supplement for this full spectrum approach. The company is based in Au, and you will now find it as “Vita-Blue” or “Omni-Blue” Ocean Minerals. Dont forget to add a good Silica supplements well. Hubner is a good one from Germany.